Renee Anderson is an OKC-based singer and actress. She received her Bachelor and Master Degrees in Musical Theater at Oklahoma City University. She has toured and performed in venues such as Dallas Summer Musicals, St. Louis MUNY, Kansas City Starlight, Atlanta Theater of the Stars, Lyric Theatre, OK CityRep, Oklahoma City Philharmonic, Pollard Theatre, Edmond Summerstock, Carpenter Square and the OKC Theatre Company. 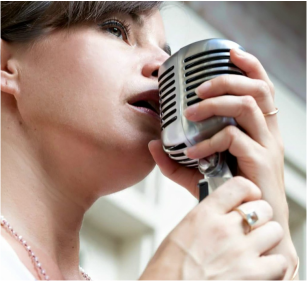 When she is not performing, Renee is a private vocal instructor. For more information, visit www.reneeanderson.me! 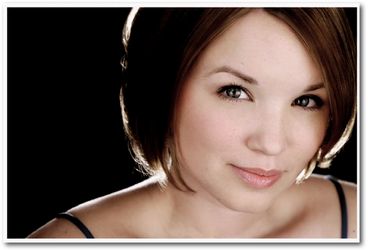 Courtney Crouse is a mezzo soprano and professor of voice at Oklahoma City University. Prior to moving to OKC to join the faculty of the Wanda L. Bass School of Music in 2012, Dr. Crouse was a featured soloist with The New York Virtuoso Singers under the direction of Harold Rosenbaum, The Coterie and L’Harmonie des Saisons, a group based in Montréal and New York City under the direction of baroque specialist Eric Milnes. Since moving Oklahoma, Dr. Crouse has performed with Lyric Theatre of Oklahoma as Mrs. Anderssen in Sondheim’s A Little Night Music, with the Oklahoma City Jazz Orchestra as a featured soloist, as the alto soloist in the Messiah for the Kemp Concert Series, a Jazz Recital on the Distinguished Artist Series at Oklahoma City University and has joined the professional vocal ensemble Tactus. She is also a member of the the guitar and voice duo: Crouse and Denman. Dr. Crouse is a graduate of Texas Wesleyan University in Fort Worth, TX and the prestigious Jacobs School of Music at Indiana University. Check out CourtneyCrouse.com for upcoming performances. 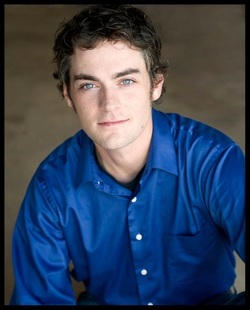 Scott Hynes - Regional credits: Oklahoma City Repertory Theatre : THE GRAPES OF WRATH (Man Going Back, Tom u/s), THE NORMAL HEART (David, Felix u/s), NEXT TO NORMAL (adult male swing). Local credits: Ghostlight Theatre Club: THE CREDEAUX CANVAS (Winston), [TITLE OF SHOW] (Jeffy), REASONS TO BE PRETTY (Greg), THE LAST DAYS OF JUDAS ISCARIOT (St. Matthew, Mathias of Gallilee); Oklahoma City Theatre Company: SYLVIA (Director), MEDEA (Jason), THE THREE-PENNY OPERA (Ready-Money Matt); Jewel Box Theatre: CATS (Munkustrap), OKLAHOMA! (Curly), LEND ME A TENOR (Max), AND THEN THERE WERE NONE (Phillip Lombard). SummerStock OK: THE SOUND OF MUSIC (Captain Von Trapp), WEST SIDE STORY (Tony), JOSEPH…DREAMCOAT (Pharaoh). Independent credits: FALSETTOS (Whizzer) at RJM Productions, CHICAGO (featured Dancer) at RSCPAC. 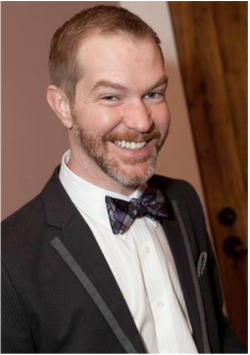 Off-stage, Scott is a professional Tap dancer and teacher, Technical Director for Ghostlight Theatre Club, director, technician, and an award-winning lighting designer. Thanks to Jodi, Megan, Dr. Harry Parker, Don Jordan, Ben Hall, Dr. Lewis R. Stiles; Leroy, Kris, and the entire OKC Philharmonic family; Lance Garrett, and the crew at GLTC; and as always, this one is for you, Mom. Marita Stryker began her musical theatre career as an original member of Austin Musical Theatre's residential company, where she performed in many of their award winning productions. Favorite Austin credits include Florence in Chess at Austin Playhouse/Summerstock Austin (B Iden Payne Nomination), Lucy in Charlie Brown at Austin Musical Theatre (Austin Critics Table Award), Polly in Crazy for You at Zilker (Austin Critics Table Award Nomination), Peron's Mistress in Evita at ZACH (Austin Critics Table Award), and Bet to Stephanie J. Block’s Nancy in Oliver at AMT. She received her bachelors and masters degrees from Oklahoma City University, studying musical theatre and opera with the legendary Florence Birdwell. After living in New York City for eight years, traveling the world as a lead singer with Celebrity and Holland America Cruise Lines, and the country with the National Tour of John Doyle's Sweeney Todd, Marita is now living in Oklahoma City, teaching voice and yoga, as she and her husband anxiously await the arrival of their daughter, Penelope. "Egg Nog 666: The Mark of The Roast Beast" on December 18th & 19th at Actors Casting & Talent Services. 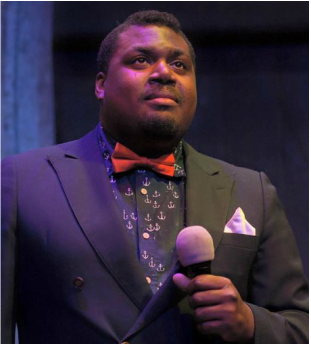 For more on Kendon's shows and work, follow him on Twitter and Instagram @kendonlacy. Brian Hamilton is a really nice guy and a good singer. Hopefully, one day, he'll submit a bio. 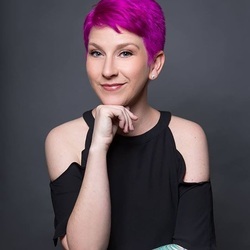 Amy Rene McQuade is originally from Tulsa, Amy moved to Oklahoma City to study at Oklahoma City University and graduated with her Bachelors in Music Performance and Masters in Music Performance. For the past ten years she has worked diligently behind the scenes to direct and assistant direct over 32 productions at the University, High School, Jr. High and Elementary levels with Youth Onstage, Stillwater Children’s Theatre, Centrestage Theatre Company, Spotlight Acting Academy, The Performing Arts Academy, Francis Tuttle Summer Quest and Oklahoma City University. She has also offered classes in differing theatre areas to aid in the development of budding actors and singers. Amy has been seen on the OCU, Tulsa, and Oklahoma City stages and hopes to bring passion and heart to her classes and productions to help instill creativity, self-confidence, and a great experience! Michelle Hedges, Drums, studied percussion and trombone performance at Southeast Missouri State University. She was the drummer for the award winning, cover band, Satin Britches based in Atlanta, GA. She played drums in Oklahoma City Theatre Company’s Gypsy in 2012 and Jesus Christ Superstar in 2014. Currently, Michelle plays trombone in the Mid­Del Jazz Orchestra, drums in the Nichols Hills Band, and is half of the piano duo Melaugh and Hedges. She gives private lessons in brass, percussion, and piano in the Oklahoma City area. Sophia Ro, Violin, joined the faculty at Oklahoma City University in 2013 and is a violinist in the Oklahoma City Philharmonic and the Lawton Philharmonic Orchestra. She has performed on the Distinguished Artist Series and joined the faculty string quartet at Oklahoma City University. Dr. Ro has served as Guest Concertmaster and as Principal Second Violin with the Sherman Symphony Orchestra and was a regular member of the Plano Symphony Orchestra, the Irving Symphony Orchestra, and the San Angelo Symphony Orchestra. Dr. Ro has been an active recitalist and chamber musician in the Dallas-Fort Worth area, Boston, and New York City. She is also a Baroque violinist and performed at numerous chamber recitals, Baroque orchestras, master classes, and music festivals in the Boston and Dallas areas. She was a featured soloist with the Seoul Symphony Orchestra and the Korean Chamber Orchestra. Dr. Ro is a graduate of University of North Texas (DMA), Boston University (MM) and Manhattan School of Music (BM). Brian Belanus will play guitar and Brian McQuade will play bass. Yes, waiting on a bios from them as well.